This rugged process pump is ANSI / ASME B73.1 compliant and operates even in the toughest industrial and chemical applications. Its highly-engineered Power Frame is 100% interchangeable with competitor pump brands. 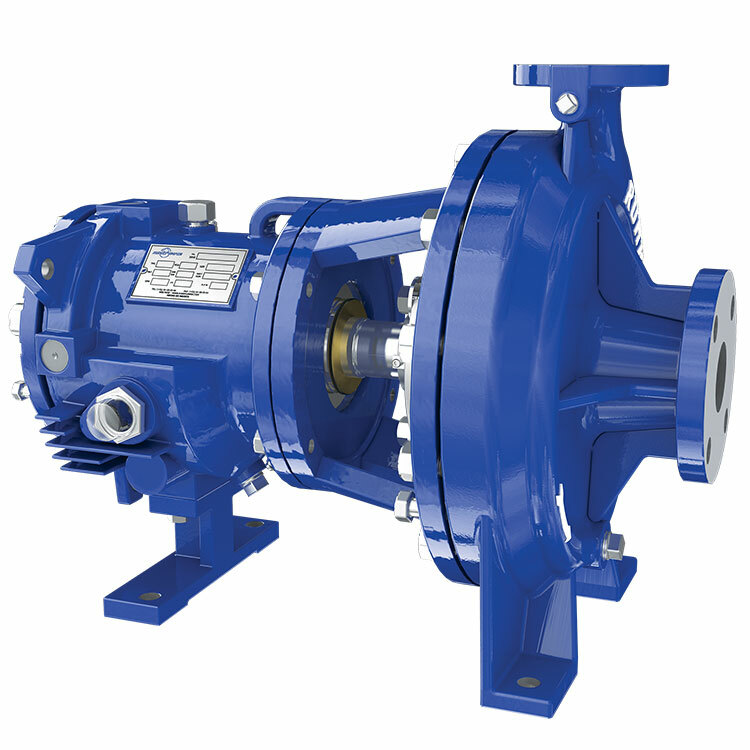 With +30 hydraulics, the CPO pump line is designed to meet and exceed the ANSI/ASME B73.1 specification. Its open impeller design covers a wide range of service conditions (including a low flow region with our CPO-L model) while providing industry-leading low NPSHR performance and high efficiencies. The CPO pump is designed around a modular concept which allows the provision of multiple hydraulics with a small number of Power Frames. In addition, these Power Frames are completely interchangeable with models of other common ANSI pump manufacturers. Designed to meet your most difficult applications with a state-of-the-art open impeller, CD4MCu wetted parts as standard and a heavy-duty Power Frame.